The Innovation Center is an 89-acre, mixed-use business/research master plan in the heart of the Tri-Cities Research District (TCRD). Steele Associates provided initial master planning, architecture and sustainable design for the project. The goal of the project is to develop a highly sustainable world class business/research environment that compliments and helps catalyze the existing Tri-Cities Research District. The Innovation Center will also provide amenities for the TCRD including a park, park/play blocks and a modern urban style mixed-use retail center. All buildings will be designed to meet a LEED Gold minimum certification. In addition to the master plan, we designed a 45,000 SF office building, a laboratory for tenant WSU and a building for BSEL (Bioproducts, Sciences and Engineering Laboratories) a partnership between WSU and the Pacific Northwest National Laboratory (PNNL) operated by Battelle. Steele Associates Architects provided viable solutions to maximize the potential of the site, while meeting the design intent of the client and community. 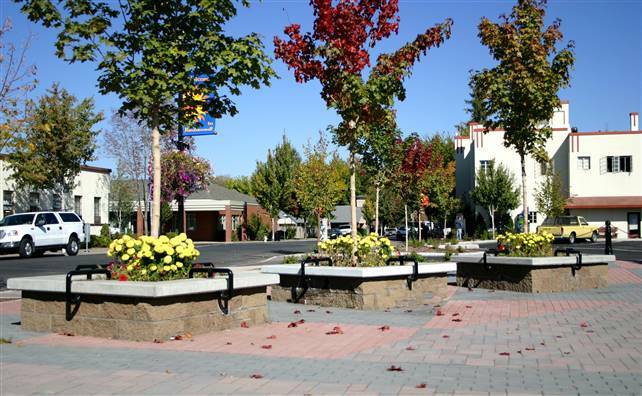 The plaza was designed to ensure safety, provide pedestrian and vehicular functionality, drain properly, accent the existing context, mitigate snow removal and storage problems, and provide flexibility for future expansion. 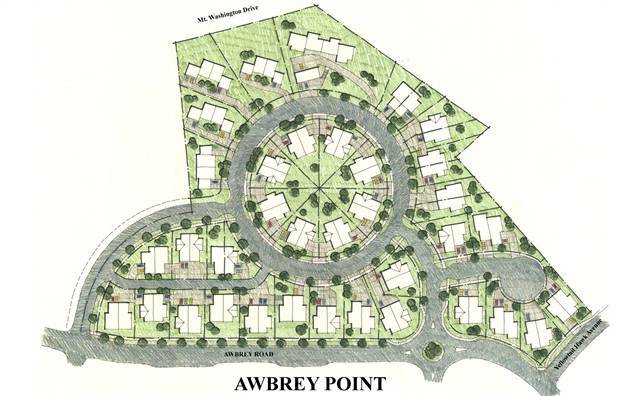 Steele Associates master planned this 10-acre residential subdivision. SAA developed an innovative circular scheme that mitigated the steep grades on the site, while maximizing the views and creating a sense of neighborhood. 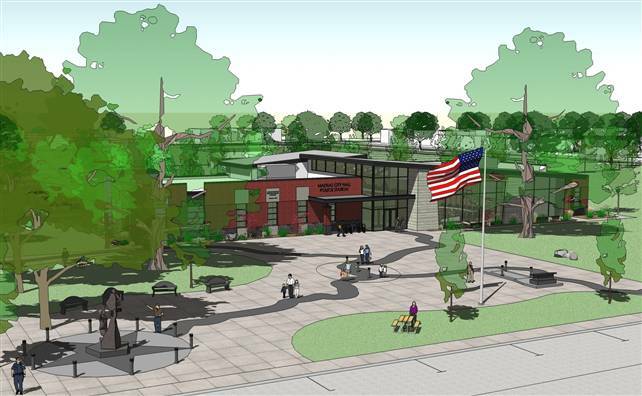 Steele Associates Architects designed this project to replace the existing Madras City Hall and Police Station. A master plan was generated through highly interactive collaboration with the City to envision optimum development of the site and future facilities. Graphics and other materials facilitated funding in strategic phases. This new 20,000 SF facility will serve to alleviate the crowded and unpleasant conditions at the existing facilities and offer an efficient sustainably-designed facility to serve the City and its constituents well into the future. The Deschutes County Fair and Expo Center is a Building a Better Central Oregon Award Winner. 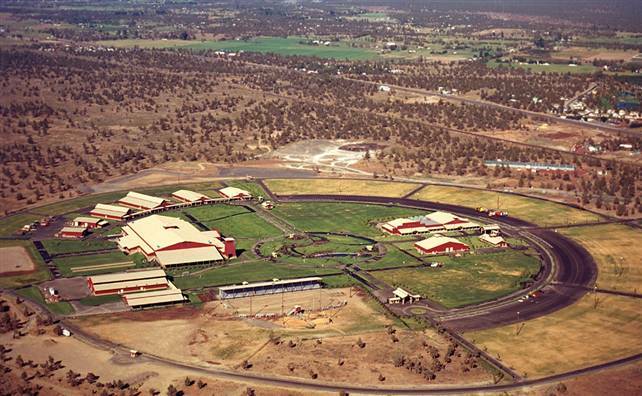 This nationally known Expo Center has had a very positive economic impact on Central Oregon due to its ability to draw and retain major events. 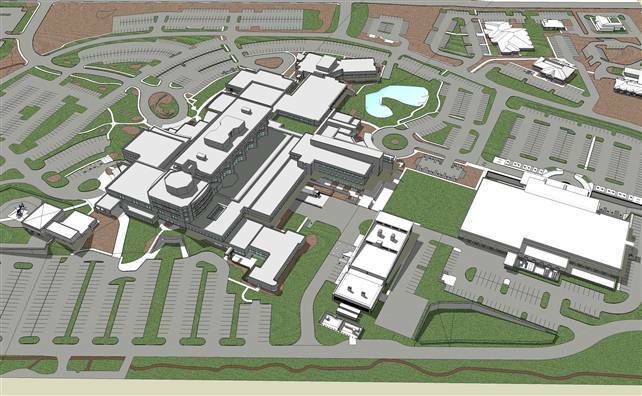 It consists of 16 buildings totaling more than 352,000 SF. Steele Associates worked with both the Sisters School District and members of the Sisters community in developing a 300-acre, multi-phased master plan. 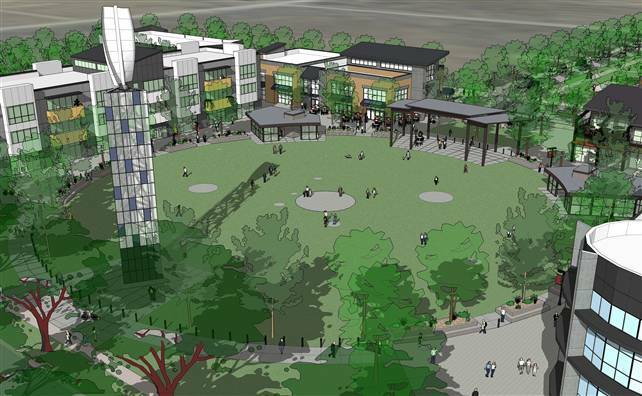 The master plan includes the new 700-student high school, a future elementary school, a future facility complex, administration office, SOAR building, a ballfield complex, an environmental center and a trail system connecting to the Conservation Area and City. Steele Associates solicited input from maintenance staff and the snowplowing contractor. SAA took their input to heart and designed easy to plow vehicular areas, snow detention and storage swales and a building and roof design that mitigates snow and drainage issues. 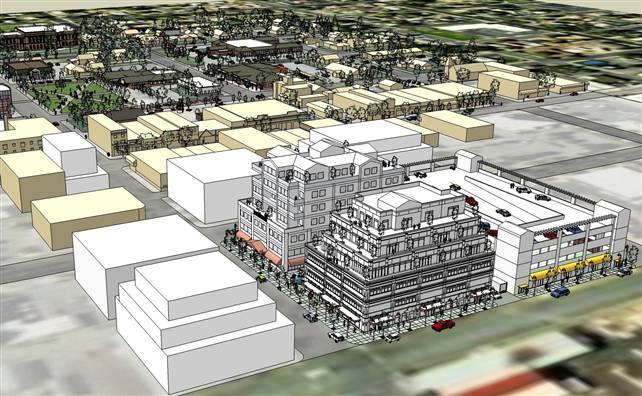 The master plan was developed with sustainable design principles. Steele Associates Architects worked in association with lead master planner KMD Architects to develop a comprehensive master planning document for all three campuses. 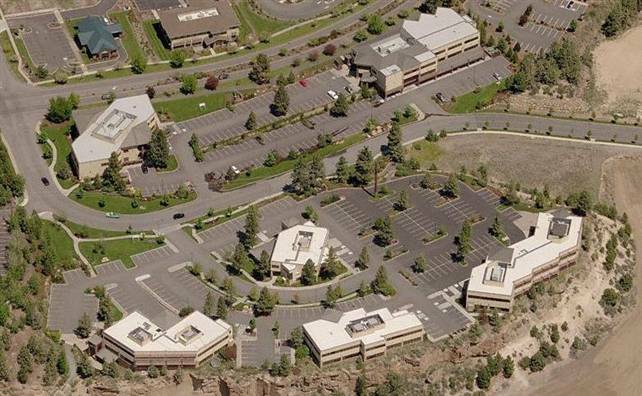 Winner of the 1998 Building a Better Central Oregon Design Award, this six building, 120,000 SF class ‘A’ mixed-use development is on 10-acres of Deschutes river-front property. 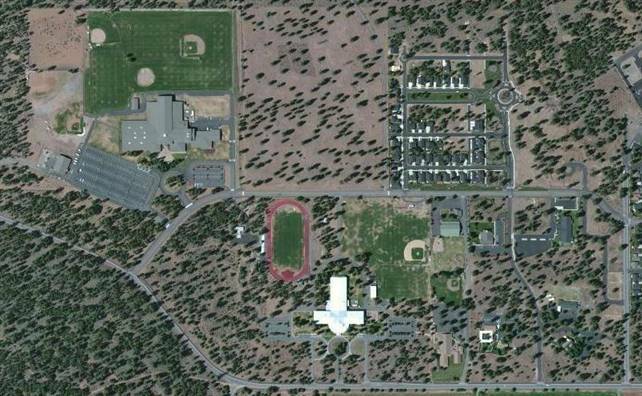 The campus is designed to respond to outstanding river and mountain views and a beautiful ponderosa pine-studded site. The plaza highlights the campus featuring an articulated masonry and steel portico, and a pavered surface punctuated with large boulders native to the site. It serves as a rest and café area along an enhanced trail which is open to the public, leading down a ravine to the Deschutes River Trail. Building 7000 includes a 14,000 SF parking garage.